Erin, tell us a bit about yourself for the ChiliPepperMadness.com readers. 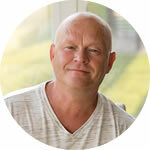 I love helping people achieve their health and wellness goals by taking smart nutrition, fitness, and wellness information and making it practical and realistic. I am able to help people through one-one-one meetings, speaking engagements, and writing, which I do in my U Rock Girl blog (www.urockgirl.com) and other publications. I am also the proud mom of four boys and make it a top priority that theynourish their minds and bodies with real, clean, whole foods. 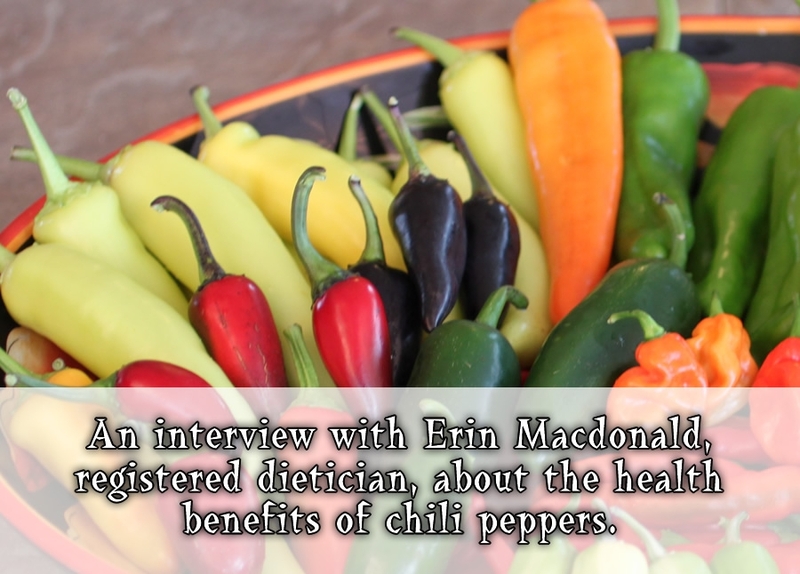 As a Nutrition, Fitness and Wellness coach, do you recommend chili peppers to your clients? I think chili peppers are a smart addition to a healthy diet as they are brimming with many disease-fighting compounds including vitamins, minerals, and antioxidants. The first thing we discuss is the heat factor. Some like it hot, while others are scared of the heat. I make sure to let them know that peppers come in a wide range – from the mild bell pepper to the super-hot scotch bonnet and ghost peppers. There’s something for everyone! 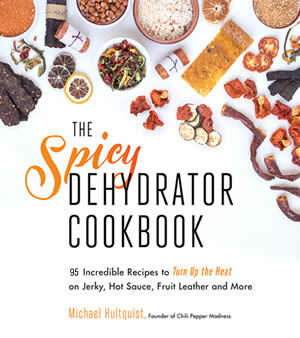 There are so many ways that chili peppers can be prepared. 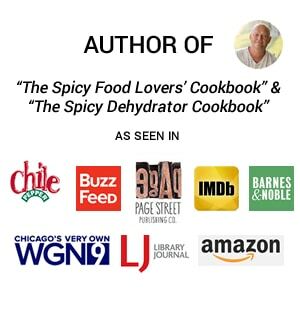 I love adding them to salsa, to chili, or making a pureed sauce out of a blend of different chilis. My favorite way is to roast chilis in the oven. The high heat caramelizes the chili which brings out the natural sugars and you end up with a chili that’s both hot and sweet. I love to roast peppers in the oven as it brings out the natural sugars and makes them really sweet. It’s a nice counter-balance to peppers that are hot. What exactly is metabolism, and do chili peppers actually affect it? Your metabolism involves a complex network of hormones and enzymes that convert the food you eat into fuel and determine how efficiently you burn that fuel. When people talk about metabolism, they usually refer to having a high or low metabolism (how many calories their body burns) and its effect on their weight. People love to blame their extra weight on a slow metabolism! Chili peppers contain capsaicin which is thought to stimulate metabolism and help you burn extra calories. They can help lower blood sugar levels, which is important for people with diabetes or insulin resistance. I think that all chilis are equally healthy. Just look at those vibrant colors! That’s the real sign of nutrition. The brighter the color, the more disease-fighting compounds it contains. I like my chilis on the milder side, so I’m more into sweet long red peppers and the Japanese shishito peppers. I encourage people to eat fresh, seasonal, and local foods and to be creative with their recipes. 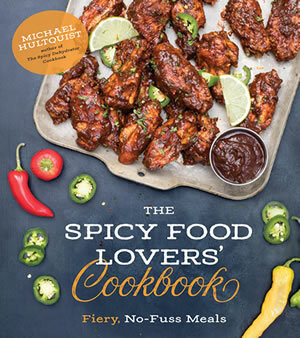 Chili peppers can add so much flavor and life to any recipe. Food should be both nutritious and delicious and I think that chili peppers fit that bill. She is the president and co-founder of U Rock Girl, a web site dedicated to the latest and most comprehensive information on nutrition, fitness, wellness, and motivation to help nourish the mind, body, and spirit. Check it out at www.urockgirl.com. She is on the Health Advisory Board for Nutricula Magazine – The Science of Longevity and writes a monthly nutrition column.